Consult your allergist prior to purchase. 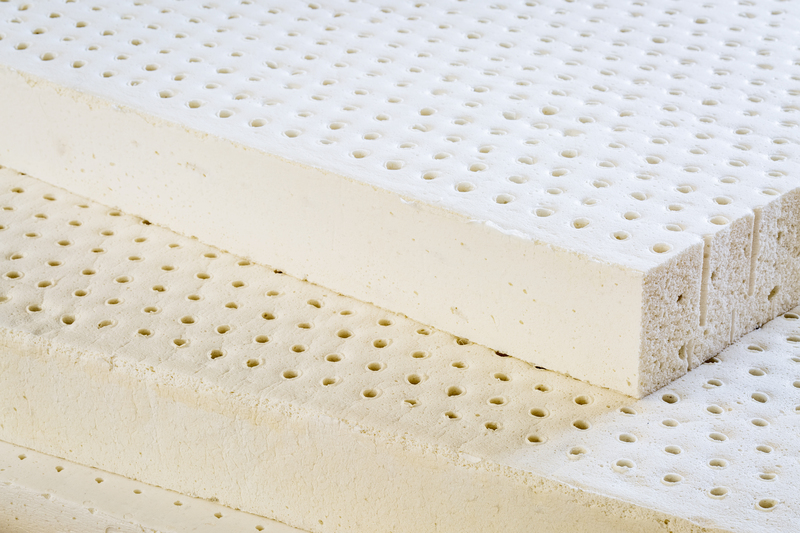 Avocado Green Mattresses use 100% GOLS organic certified latex from tree-tapped and sustainable sources. Although skin-to-latex does not occur during normal use, you should consult your allergist prior to purchase if you are uncertain. Allergic reactions to organic latex are uncommon, but occur in less than 1% of the general population in the US, according to the American Latex Allergy Association. According to the Mayo Clinic, "If you're allergic to latex, you're likely to react after being in contact with the latex in rubber gloves or by inhaling airborne latex particles released when someone removes latex gloves. Latex allergy symptoms range from mild to severe, depending on your sensitivity and the degree of latex allergen exposure. The Mayo Clinic notes: "In a latex allergy, your immune system identifies latex as a harmful substance and triggers certain antibodies to fight the allergen. The next time you're exposed to latex, the antibodies signal your immune system to release histamine and other chemicals into your bloodstream, producing a range of signs and symptoms. The more exposure you have to latex, the more strongly your immune system is likely to respond (sensitization). Inhalation. Latex products, especially gloves, shed latex particles, which you can breathe in when they become airborne. The amount of airborne latex from gloves differs greatly depending on the brand of glove used. Not all latex products are made from natural sources. Products containing man-made (synthetic) latex, such as latex paint, are unlikely to cause a reaction." "Latex allergy also is related to certain foods, such as avocados, bananas, chestnuts, kiwis and passion fruits. These foods contain some of the same allergens found in latex. If you're allergic to latex, you have a greater chance of also being allergic to these foods."